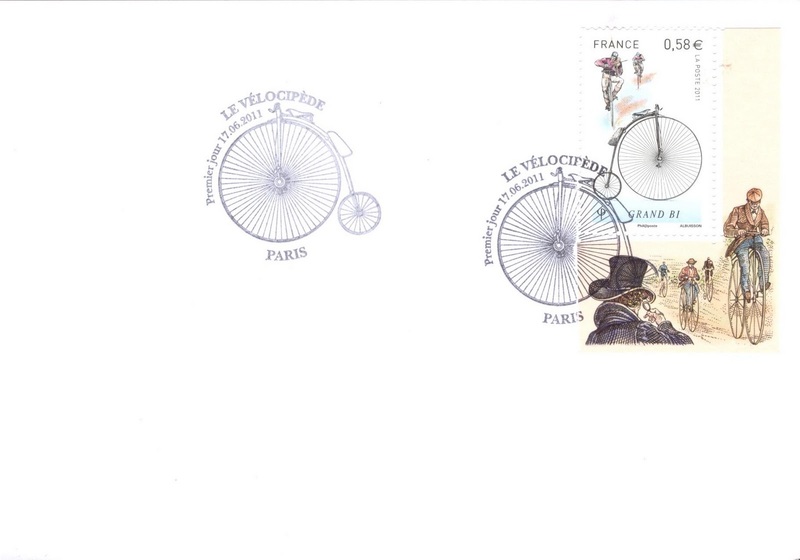 La Poste issued on June 20, 2011 an interesting miniature sheet on the velocipedes, from the origins to present. The 6 stamps on that miniature sheet each portray a distinct type of velocipede (or bicycle if you prefer). 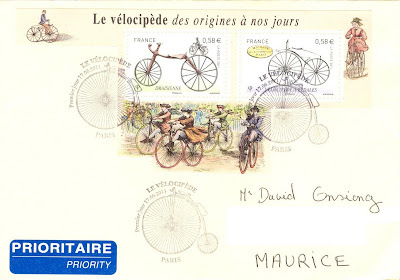 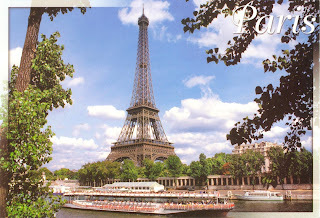 Two of these stamps are affixed on that cover sent by Daniel from Paris with first day cancellation.